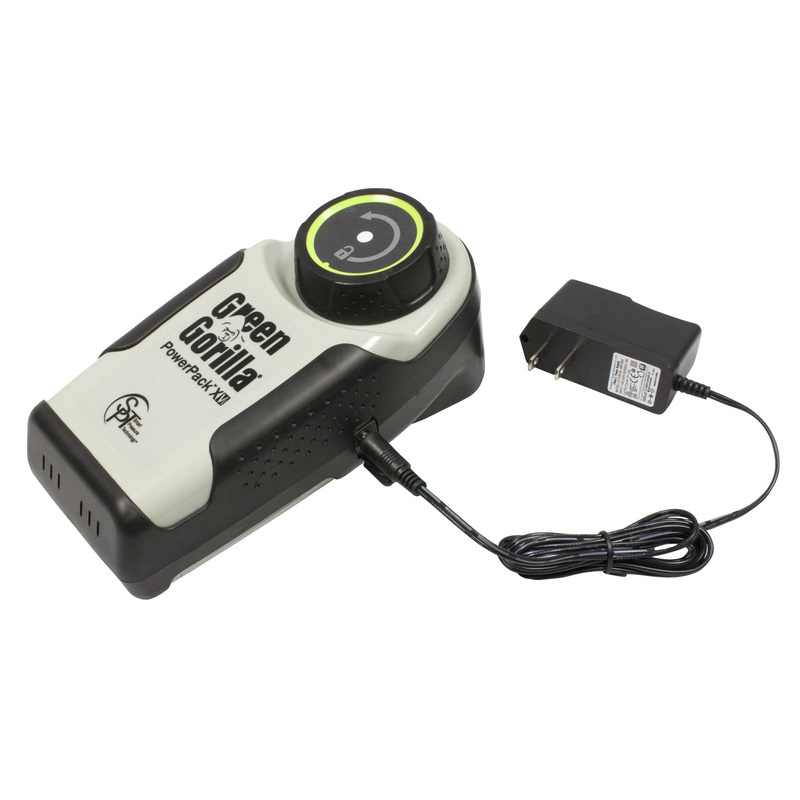 The Green Gorilla ProLine Vi Series spray system uses Smart Pressure Technology (SPTTM) packaged in a detachable, rechargeable, lithium ion power pack which electronically pressurizes and maintains the air pressure in the tank. Due to the latest power density technology, the lithium ion power cells are maximized when air is pressurized in the tank. This leads to a full day of spraying with just one charge! SPTTM provides the optimum pressure for even distribution of pest control products - no more pumping and guessing if the pressure is correct. SPT allows for precision delivery of chemicals and a reduction in spray time which means the system will pay for itself after only a few jobs. There is a 25% savings in time, resulting in a 20 hour savings over a 4 week period. Typically it takes around 80 hours for 4 weeks of spraying with a conventional sprayer while the Green Gorilla only takes 60 hours! ProLine Vi PolyChem System includes the following: chemical-resistant, high-strength, high-density polymer tank, backup hand pump, Power Pack V with SPTTM, and an adjustable pin to cone nozzle attached to the tip of a chemical resistant "PolyChem" wand. Choose from 1.5 gallon or 2.5 gallon capacity tank options. This ProLine Vi PolyChem System comes with a 15 inch wand. Includes Power Pack X and 1.5 gallon OR 2.5 gallon sprayer tank, with 48'' hose and 15'' polychem wand with adjustable spray nozzle. AC wall charger included. Works as advertised. 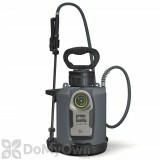 It is great to keep spraying without continually stoping to hand pump it. It could be improved. You can not see through the side so it needs a translucent strip up the side so you can tell how much fluid is in it both when you are filling it and when you are using it. It needs a backpack accessory for carrying it because it hurts your hand to carry it by the handle (wear a glove) and with the shoulder strap it continues to bounce off of your leg as you walk. I have used it for the past week at work. At first it was great. Then about 3 days of use I noticed it would not have constant pressure. I took the hand wand apart thinking maybe I had a clog but nothing found. I eventually changed the hand wand with my b&g and now perfect. i got 2.5 gallon and 1.5 gallon. 2.5 gallon hasnt been year yet and this second time this leaking air, the battery plug broke in and doesnt hold a charge much, and weight can be burden when full, plus i think battery take longer to pressure 2.5 gallon. 1.5 been working great no issue so far and the battery keep air pressure good. both wands is crap 100%, the gun wand is ok but cant keep spray steady cause it will change from wide spray to stream constantly, and the curve wand they have twice will spray without touching the trigger and no shut off valve, 1 of them was installed when i got it, i still can detach it and i stripped the metal off. my advice only buy 1.5 gallon with out a wand and provide your own wand. Does this order include the Green Gorilla Wall Charger and Green Gorilla Vi Series PowerPack X with Wall Charger? The Green Gorilla ProLine Vi PolyChem System includes Power Pack X and 1.5 gallon OR 2.5 gallon sprayer tank, with 48'' hose and 15'' polychem wand with adjustable spray nozzle. An AC wall charger is also included. 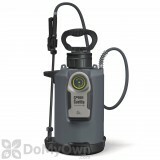 Can I use a B&G handle for the Green Gorilla ProLine Vi PolyChem System? Can I swap the handles? You cannot swap a B&G handle or any other handle with the Green Gorilla ProLine Vi PolyChem System. For assistance with parts and other questions, you can always call us 866-581-7378. 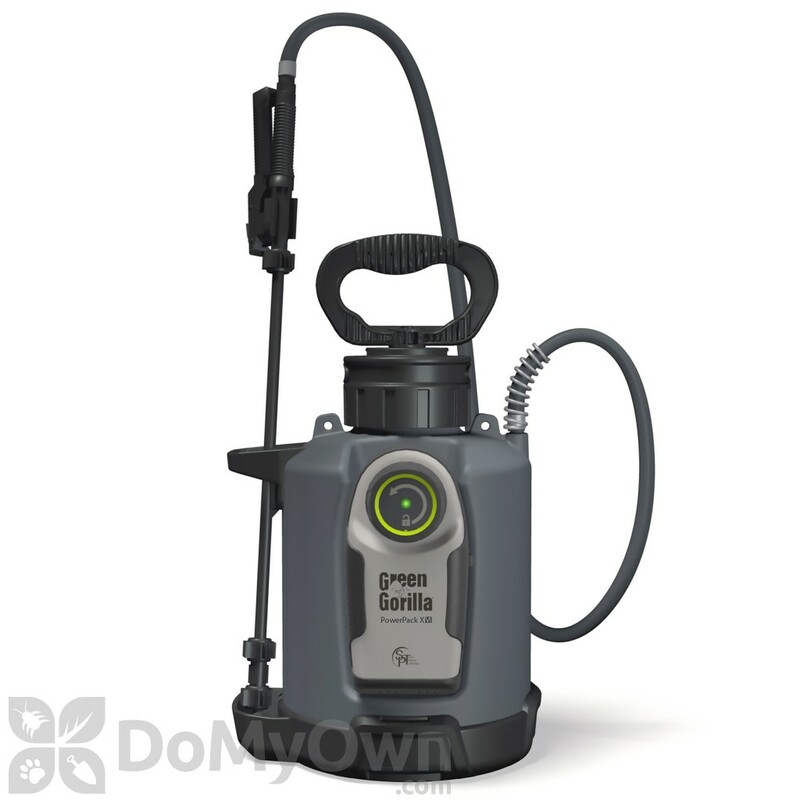 Does the Green Gorilla ProLine Vi PolyChem System come with a warranty? The Green Gorilla ProLine Vi PolyChem System has a 1-year warranty.